The 2009 Environmental Working Group’s (EWG) Sunscreen consumer guide is out and the following are the top 10 best moisturizers with SPF and best beach and sport sunscreens. 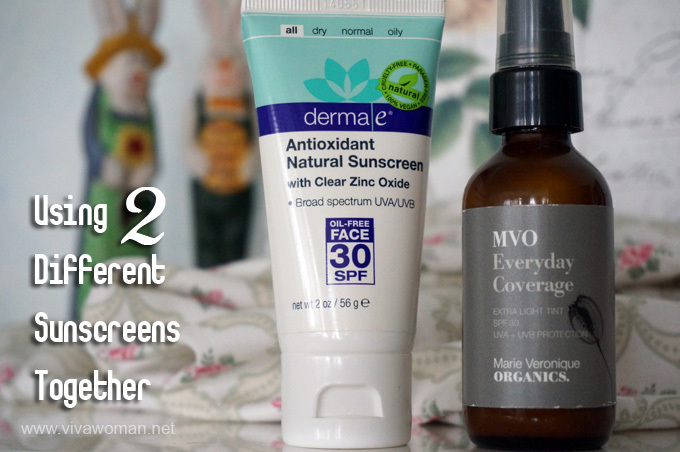 These are all mineral/physical sunscreens containing zinc oxide, titanium dioxide or both and I have a review of some of these natural sunscreens.Â To find out if your favorite sunscreens made it to the list or the list of best lip balms with SPF,Â read here. You will also realize that most of the top sunscreens are of natural formulation. Well, no surprise considering EWG rate products via the safety levels of their ingredients. 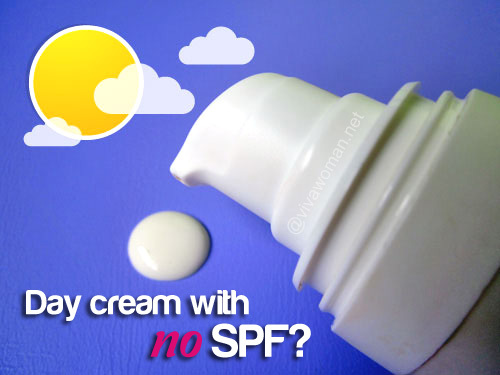 Hence, many chemical sunscreens don’t make the grade, even though they may contain photostable sunscreen ingredients. Can sunscreens double up as moisturizers? Day moisturizers with no SPF: is there a point? Why I use two different sunscreens together Is using a moisturizer with SPF good enough? Are these sunblock suitable for guys as well? Yes, they are, especially the beach and sport sunscreens. 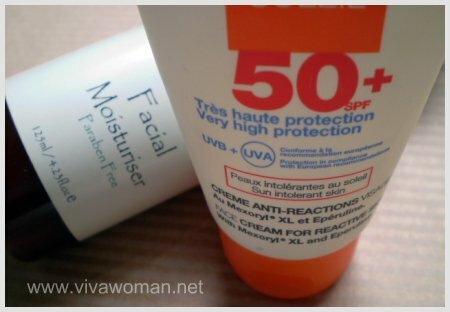 “Best Moisturizers with SPF”, you can’t get most of them in Singapore. I have ordered Soleo via an Oz online store and tried it on my face. That was stupid, because it was oily and oily and oily. Yup, most of it are unavailable here. Soleo is but like what you said, is very oily. I would use it on my body but even so it’s rather thick. Oh and another comment, I was very tempted to order Devita Daily Solar Protective Moisturizer but I saw the reviews on Makeup Alley. It seems that there are some doubts as to the “real” protective properties of it. If you have tried it, I would surely be interested to know how it was! Hi everyone. This is my first time visiting this site and I’m very excited so far, seeing how helpful and informative viva woman and everyone is. I’m searching for a moisturizer with good SPF in it, and I’m torn between Jason Natural, Shiseido Ultimate Sun Protection, and DDF Enhancing. I’m 24 with combination and medium-tone skin. Can someone please help me end this confusion? Thanks. Jason Natural has a number of sunscreens – the one I used before, Sunbrellas SPF30 has both zinc oxide and titanium and surprisingly, was good when I went swimming on a hot day. But it gives a whitecast and some don’t like it as daily wear although it isn’t greasy. I haven’t tried Shideido Ultimate Sun Protection because at that time, I was told it needs a special cleanser. But I tried the Extra Smooth Sun Protection Lotion SPF34 and it felt quite good overall except for the fragrance. I’m not familiar with DDF Enhancing though. this information is very useful.thank you.but what would you recommend me with SPF 80? First of all not every company has it. and what is the best one for sensitive skin? thank you. SPF80? Why do you need something that high? SPF30 or 50 is fine. You might want to try the ones from Marie-Veronique Organics if you have sensitive skin. I’ve only tried the non-tinted which leaves a slight whitecast on my fair skin. If your skin is darker, then it’s better you use the tinted version. Personally, I like Creme de Soleil better. Have you heard of Avado baby sunscreen? It seems to be quite similar to Soleo. Is soleo too oily on the face for everybody, or just those with oilier skin? Have not heard of Avado. I’ve tried feeling Soleo and it’s very oily for most skin types. i tried to look for face and eye sunblock and it didn’t seem available either..
have u tried Avon liiv botanicals eye cream spf 15?? Yes I agree that it’s difficult to find eye products with SPF. I used to use the Eucerin one but it isn’t natural or organic. You can find my review here http://www.vivawoman.net/2008/04/28/eucerin-hyaluron-filler-eye-treatment/. Currently, I use my Marie-Veronique sunscreen over my eyes because it’s lightweight enough. isn’t it Marie-Veronique sunscreen might be harmful for ur eyes since it is for face use?? i really have no idea..
Would u advice me to still use it?? I’m so scared since I’ve never used strong products in my face until recently..
No, it’s not harmful. It’s lightweight enough for the eyes. Milia seeds get developed if the molecus of the product’s ingredients are too big so yes, in general, not advisable to apply moisturizers around your eye area. I have however applied some other types of oil and they worked well. So it depends. As for eye products, I can’t recommend as I do not know many. Their SPF are not high anymore. Usually around 15. So if you are using the Avon one and have no problems with it, just continue. At least you get some level of protection. The combination of titanium dioxide and oxtinoxate will make it more stable. I’ve tried the Soleo and had problems using it. The smell is horrible. I would say its unbearable. The consistency is a thick, white, greasy Crisco type formula. I have dry skin and this never absorbed in. It sat on my skin like grease in a skillet. I’m being perfectly honest. It’s back to the chemical, less protection type sunscreens for me. uv natural sunscreen, is it a tinted sunscreen or normal white one?